Although it was sad to report last year that Rapha would pull support from its six-year involvement with the UCI-ranked team Rapha Condor JLT, it certainly brought the question of what’s next for the ‘Men in Black’. 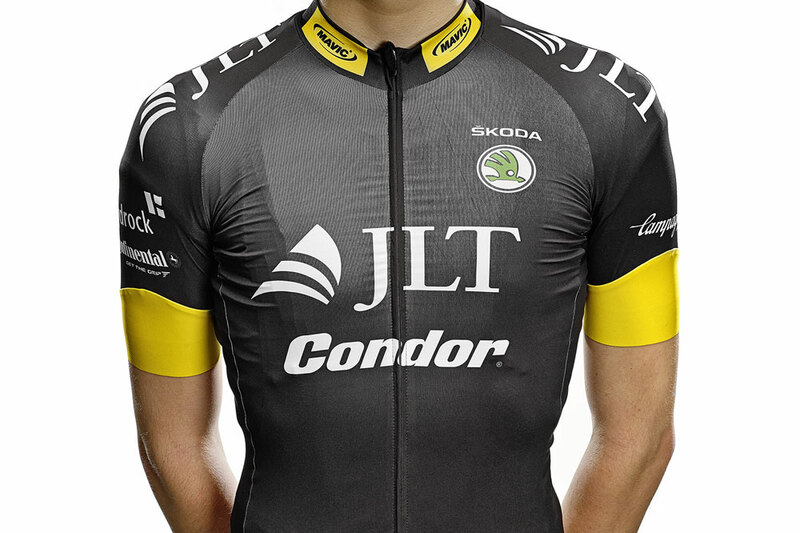 The kit has already been seen on road and track riders racing at home and abroad — most notably multiple wins for Ed Clancy at the Revolution Series and a strong performance from Kristian House in Australia — the team has now officially launched details of its new livery. Mavic will provide clothing and accessories to the team, swapping the usual pink for yellow, while not losing too much of the distinctive ‘men in black’ look the team has built up over the last few race seasons. 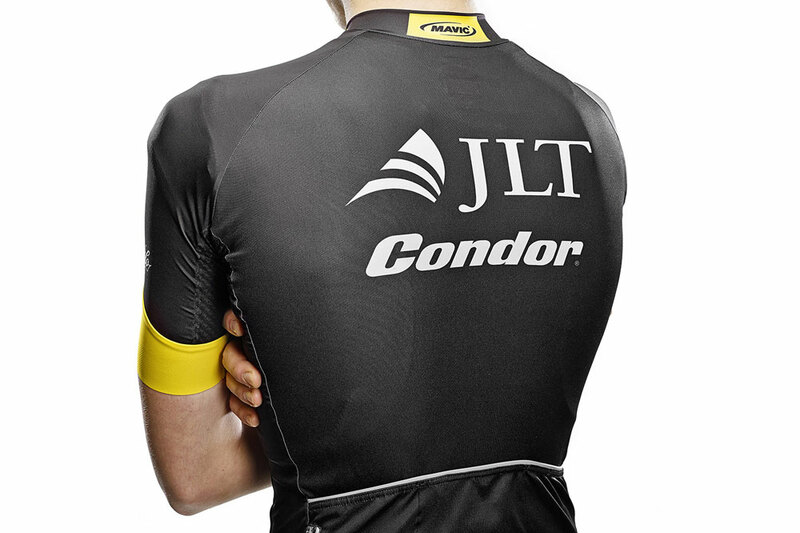 JLT Condor say that the new kit has been engineered to precision in Mavic’s Annecy factory base, which looks to include ‘bonded pockets’, UV protection and ‘zone specific’ fabrics for close fit and better performance. 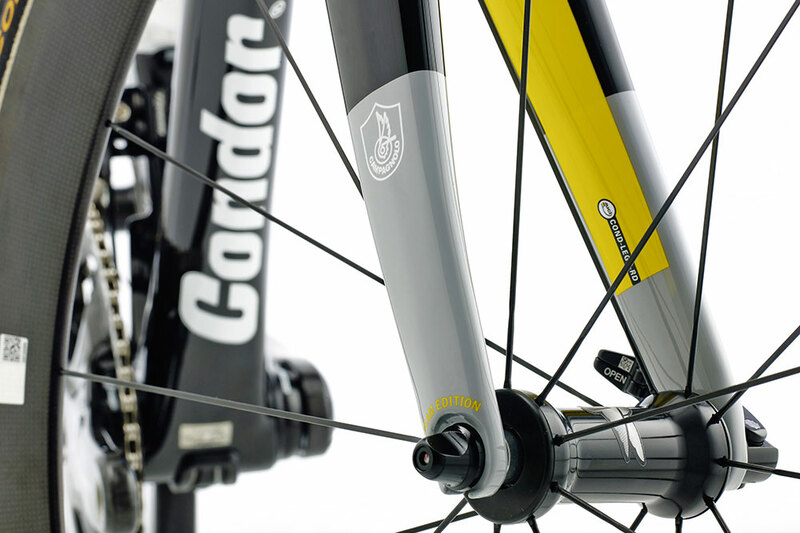 Condor continues to provide bikes, with the Leggero making its eighth season appearance, alongside the Leggero SL and new UCI-approved Super Acciaio. 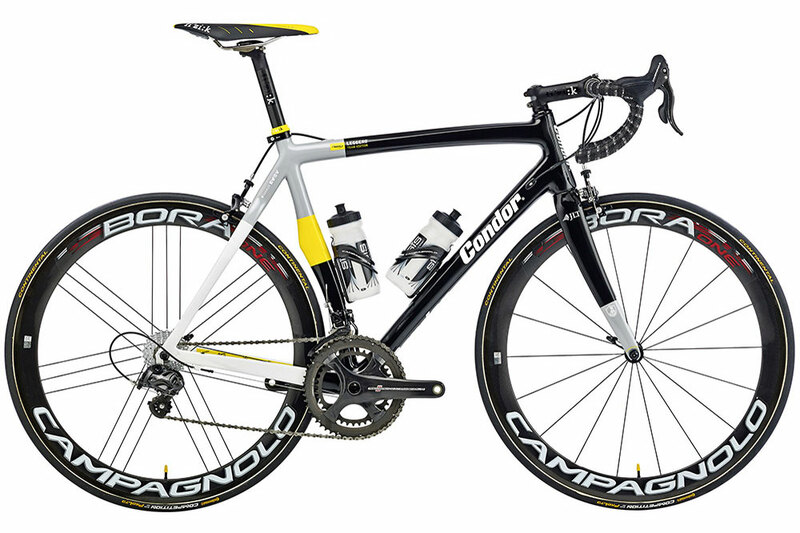 JLT Condor will remain with Campagnolo for 2015, with the Italian company also supplying wheels, which will not be provided by Mavic.